What to know when new posts are posted? 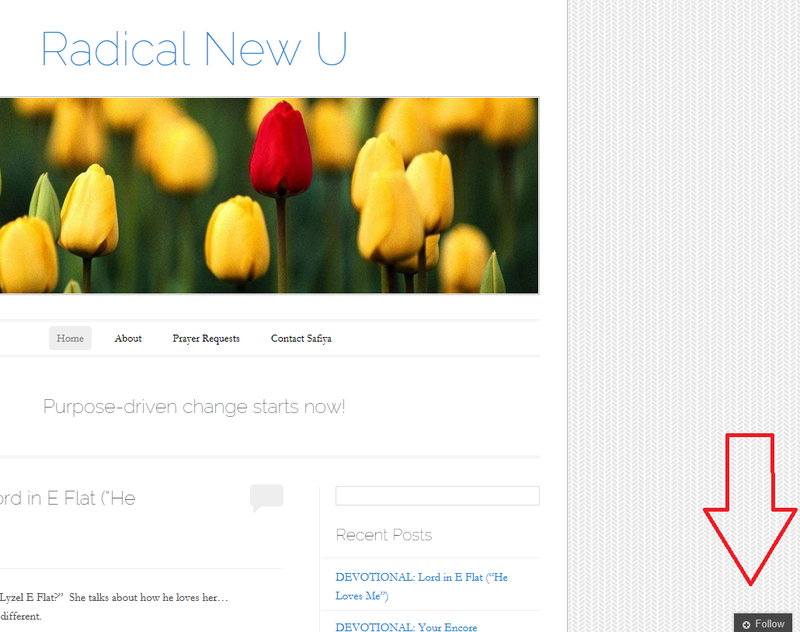 Following “Radical New U” is easy. Just click on the gray “Follow” button in the lower, right-hand corner of this page. Click it and be the first to know when new words of encouragement and empowerment are available.